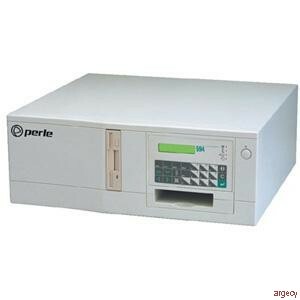 The Perle 494A Remote Controller is compatible with and equivalent to the IBM 5494. It offers the same feature-for-feature functionality and device support offered by the IBM 5494 at a significantly lower price. The Perle 494A delivers more than just access to business-critical AS/400-based data and applications to remote users on twinax enabled PCs or terminals, or on Token Ring or Ethernet LANs. Backed by Perle's renowned service and support, the Perle 494A also delivers solid value. All the features now synonymous with 5494 technology are available on the Perle 494A. Including, Ethernet and Token-Ring LAN connectivity, auto-configuration, Frame Relay Token-Ring bridging, remote management and enhanced user interface tools. And the Perle 494A fully supports APPN and connection to SNA Sub-area Networks. In addition, all the host connectivity options available on the IBM 5494 comes as standard SDLC, X.25, and X.21, even Frame Relay. LAN to AS/400 gateway configuration. The Cost Effective Alternative. Whether it's new network expansion or simply an upgrade to 5494 functionality that's required, the Perle 494A sets the standard for price performance in IBM 5494 compatible remote workstation controllers. Eliminate the need for external FRADs (Frame Relay access devices) with the Perle 494A. The Perle 494A will connect directly to a Frame Relay network through its high-speed communications adapter.The Perle 494A supports speeds upto 128 Kbps, providing the high-performance and bandwidth on demand that Frame Relay is designed to deliver.